MyBirdDNA laboratory is a world leader laboratory for birds DNA tests present in more than 300 countries and available in 107 languages. MyBirdDNA laboratory is the first and the only fully automated laboratory for DNA sexing and avian diseases testing. High number of samples and automatisation allow to provide to our clients high accurate and quality results, short delay and low cost prices. 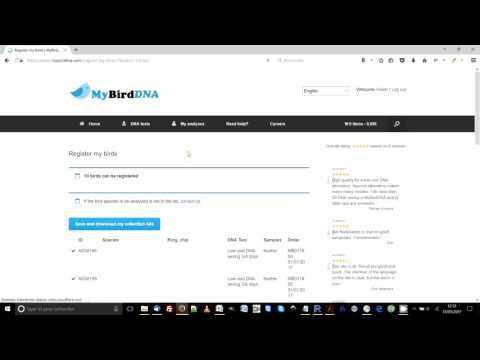 All DNA tests are done by the MyBirdDNA plateform analyses in France. We hope you enjoy your experience with us !